Thanks for stopping by Grow a Good Life. Please note that all information that appears on growagoodlife.com is copyrighted and may not be sold, distributed for profit, or used as marketing material for any third-party products. Rachel lives on a few acres in rural Maine where she strives for a more self-sufficient life. 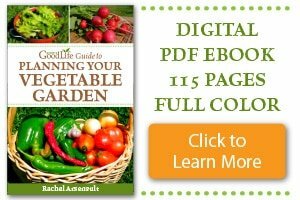 She writes about her homesteading journey at Grow a Good Life. Follow along as she shares her experiences growing a garden, keeping backyard chickens, preserving the harvest, and living a simple life. Follow Rachel’s journey to Grow a Good Life. You can also find her on Facebook, Twitter, and Pinterest. As always, feel to email me via the Contact Page for additional information.